About "How to Check the Assignment of Probability is Permissible"
Here we are going to see some example problems to check the assignment of probability is permissible. 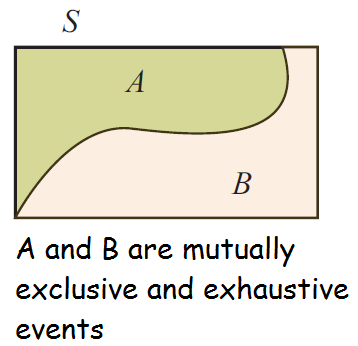 Before going to see examples, let us look into the definition of mutually exclusive and exhaustive events. An experiment has the four possible mutually exclusive and exhaustive outcomes A, B, C, and D. Check whether the following assignments of probability are permissible. Since the experiment has exactly the three possible mutually exclusive outcomes A, B, C, D they must be exhaustive events. Hence the assignment of probability is permissible. Hence the assignment of probability is not permissible. Probability of an event will not be negative. Hence the given probability is not permissible. After having gone through the stuff given above, we hope that the students would have understood, "How to Check the Assignment of Probability is Permissible"
Apart from the stuff given in "How to Check the Assignment of Probability is Permissible", if you need any other stuff in math, please use our google custom search here.